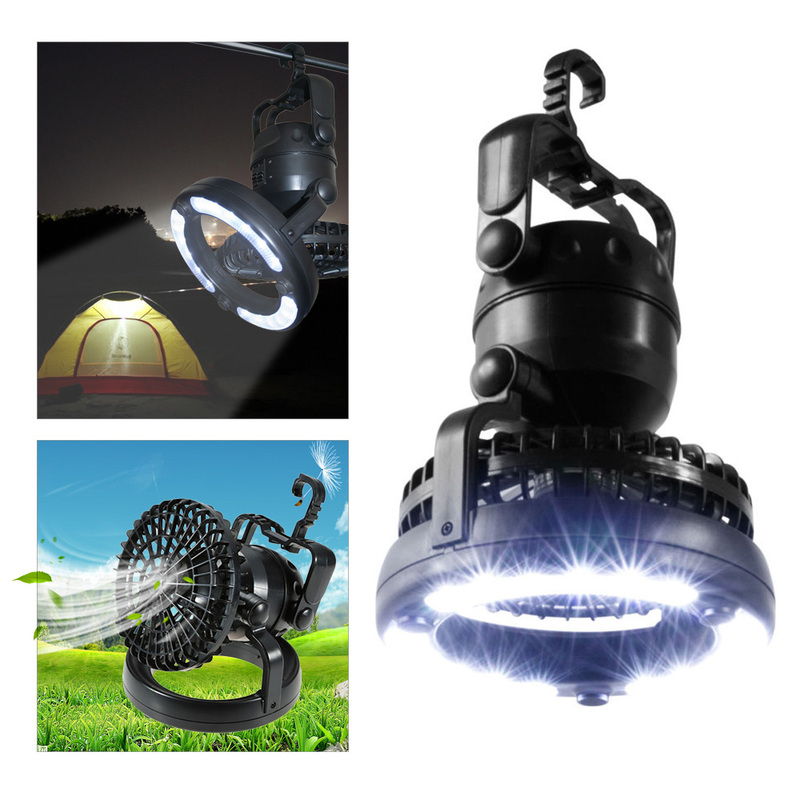 Are you planning a meaningful outdoor activity? 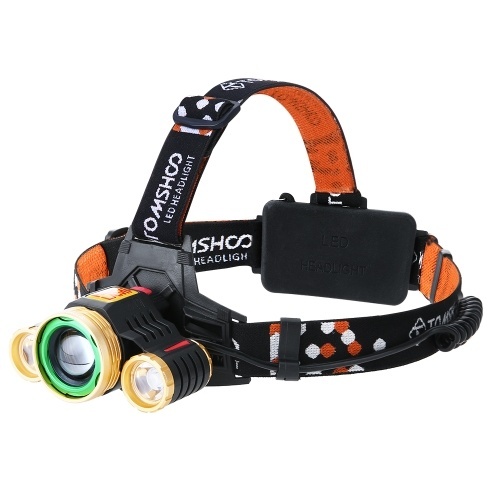 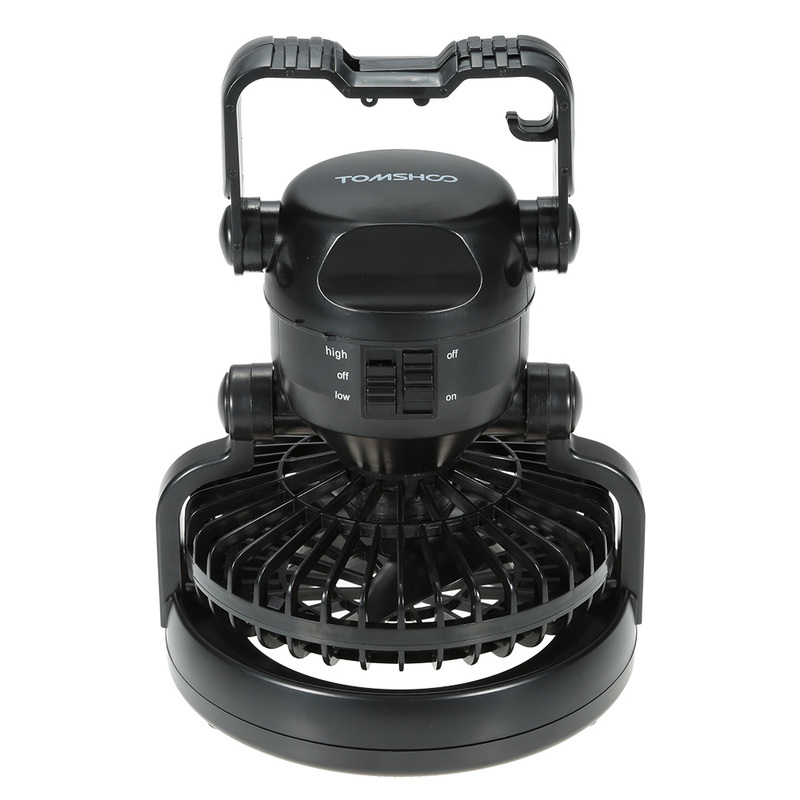 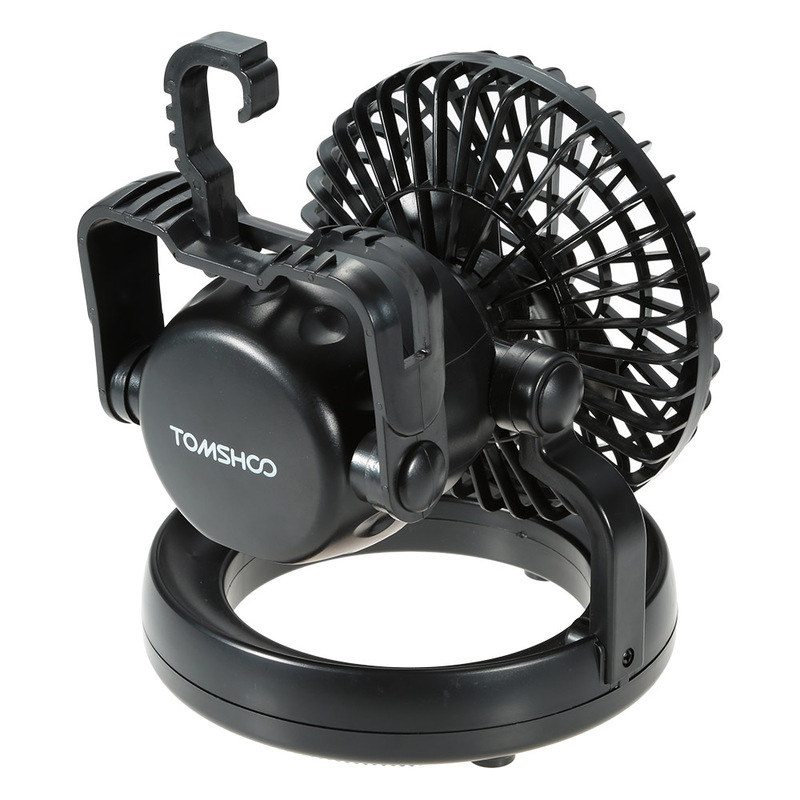 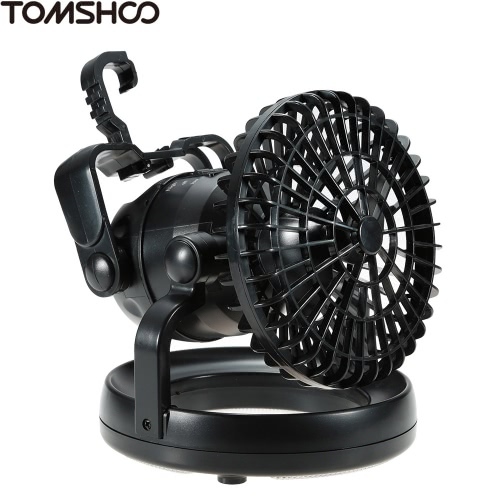 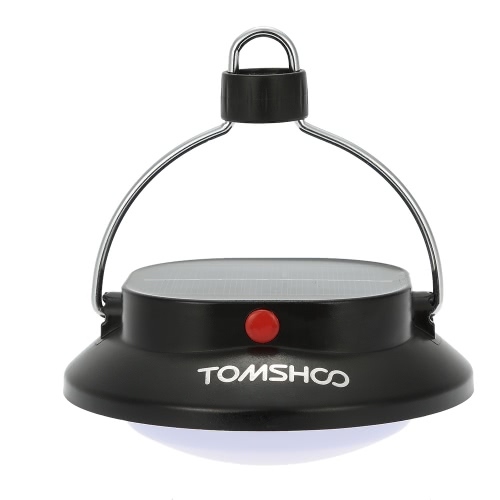 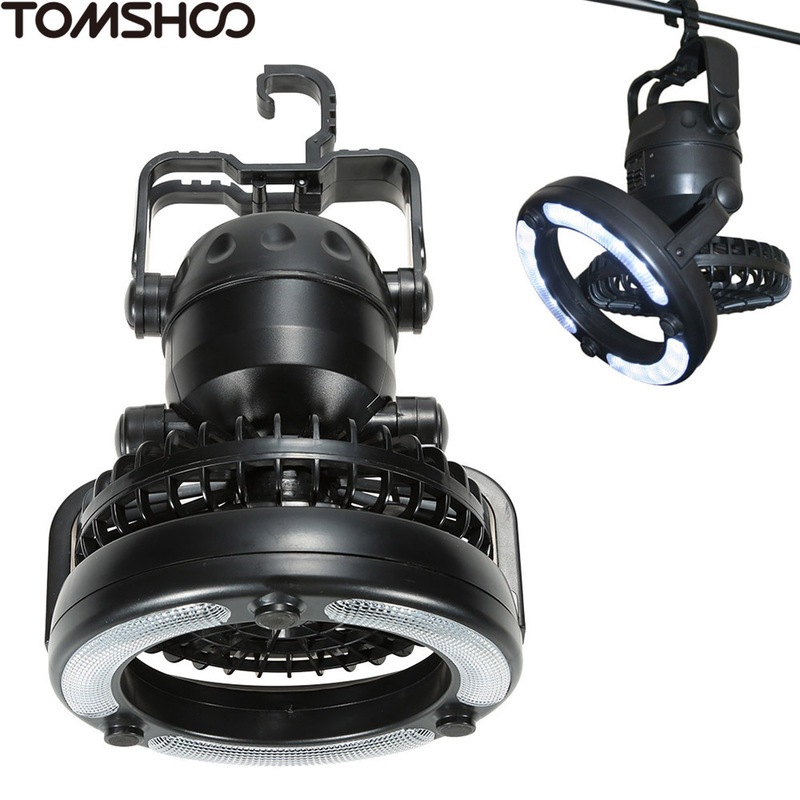 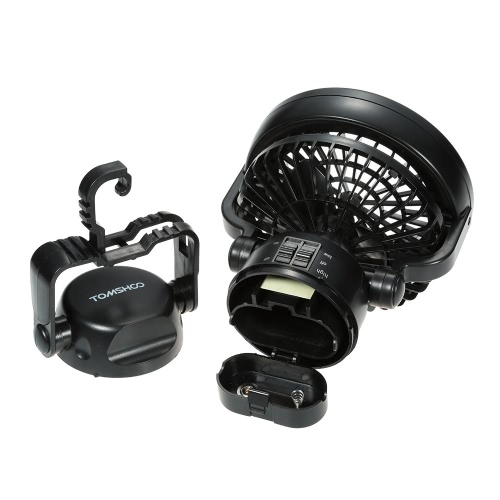 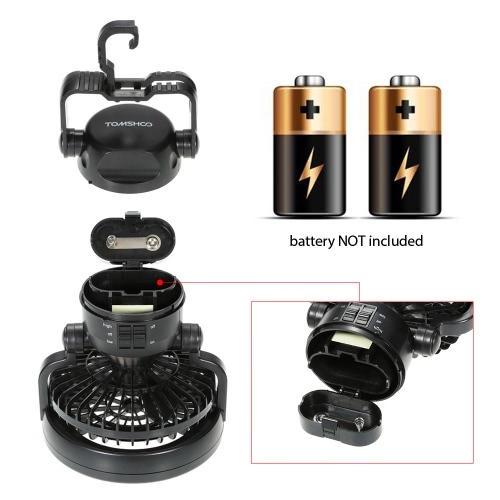 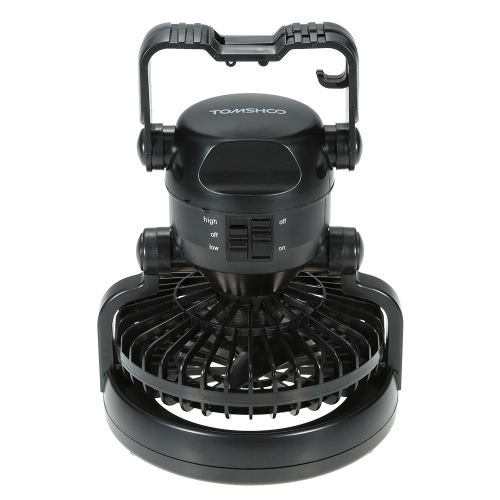 TOMSHOO 2-in-1 Portable LED Camping Lantern with Ceiling Fan may be a must equipement which will lights up your world in darkness and makes you feel cool and comfortable in hot conditions. 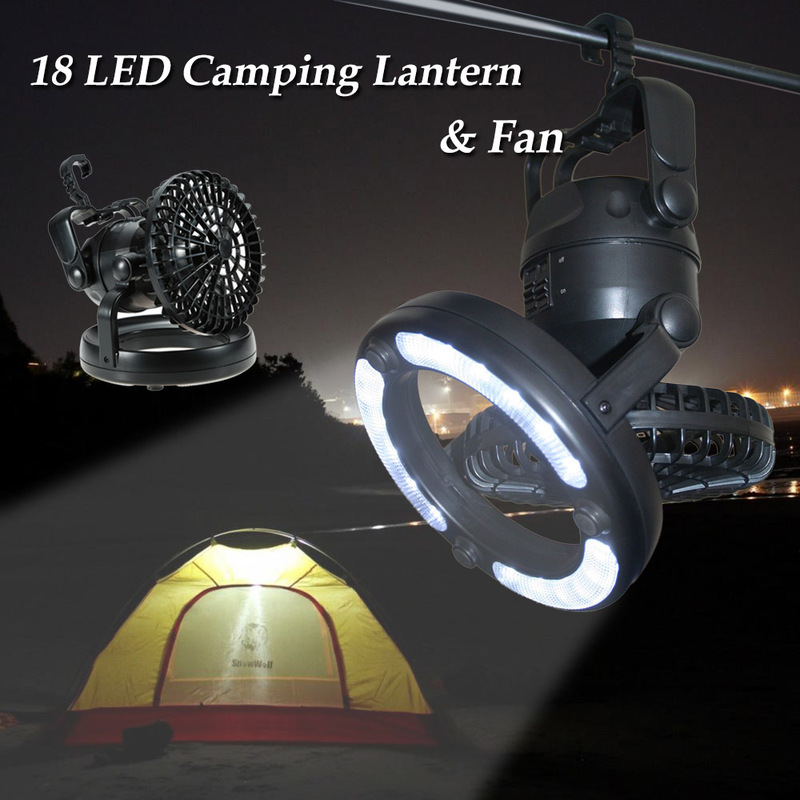 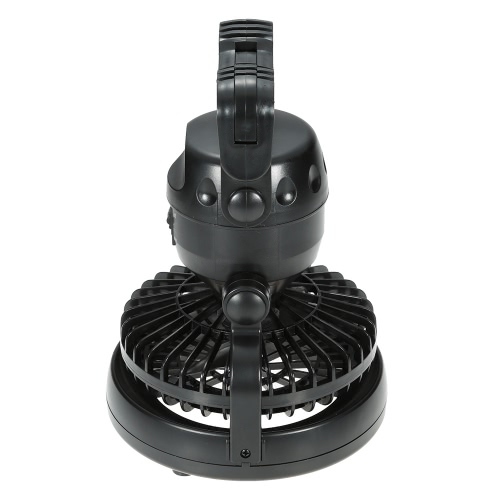 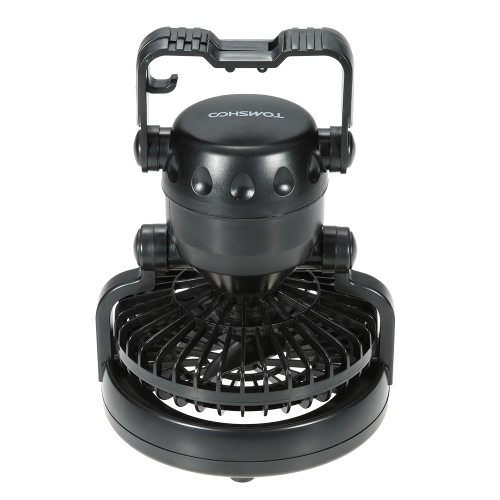 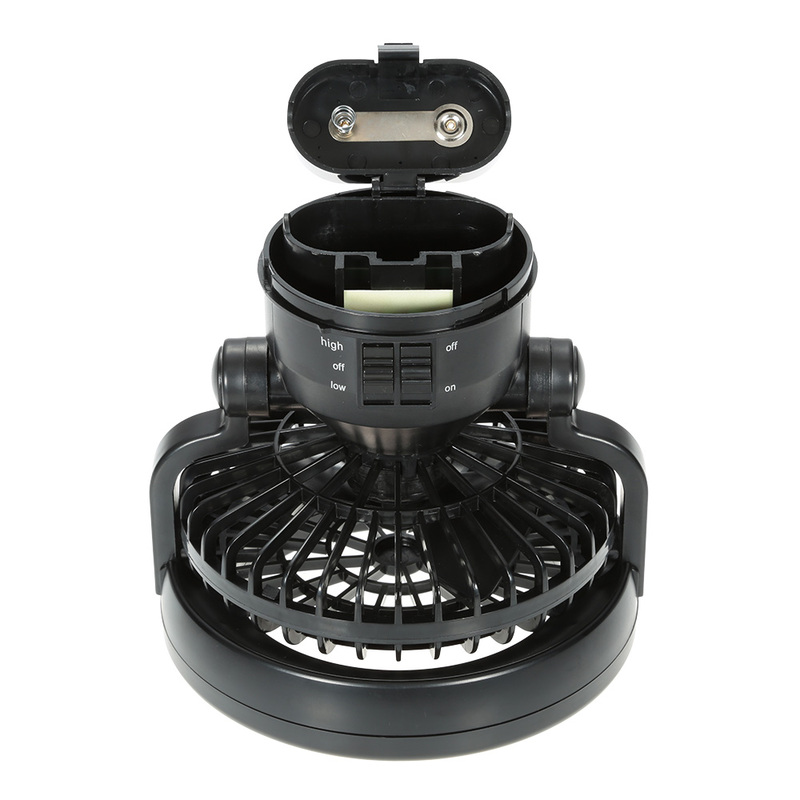 The multifunctional amping lantern with ceiling fan can be used as a camping lantern、a fan or both. 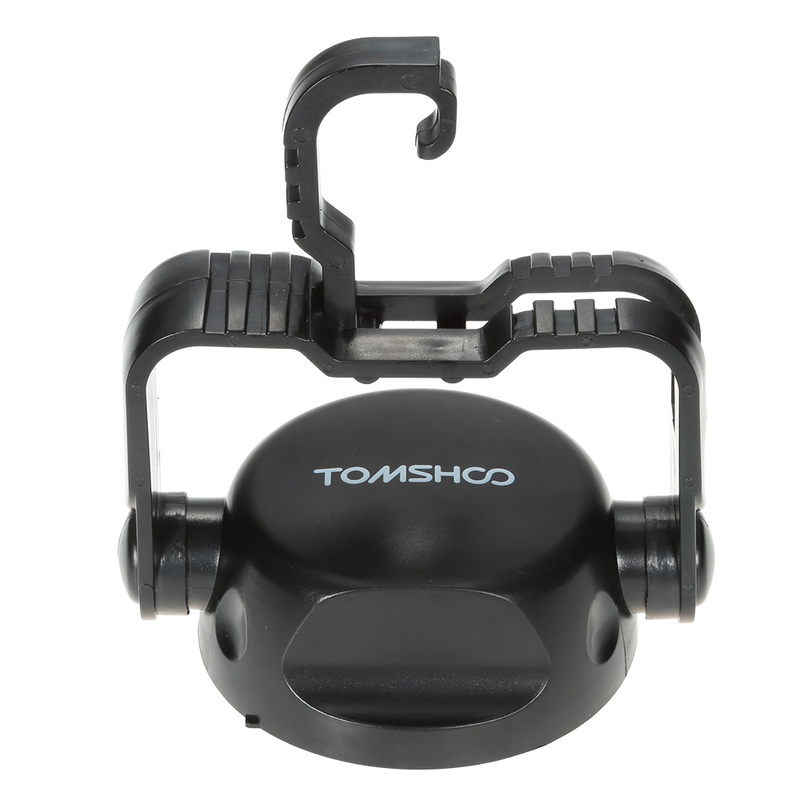 Portable and compact for you to carry with anytime anywhere. 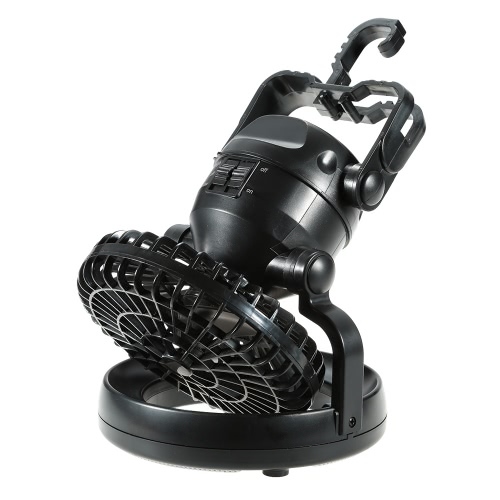 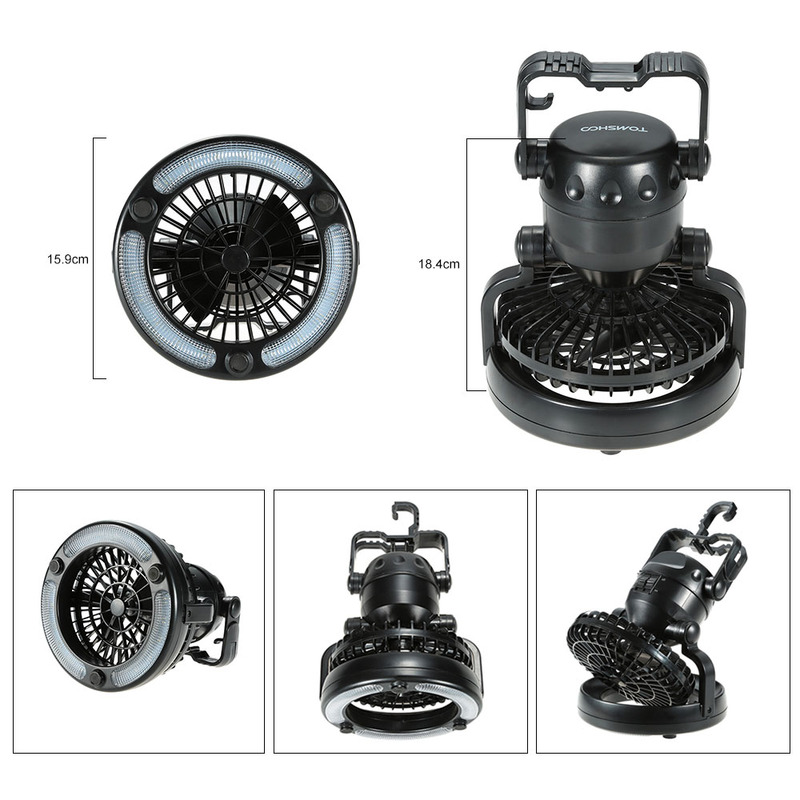 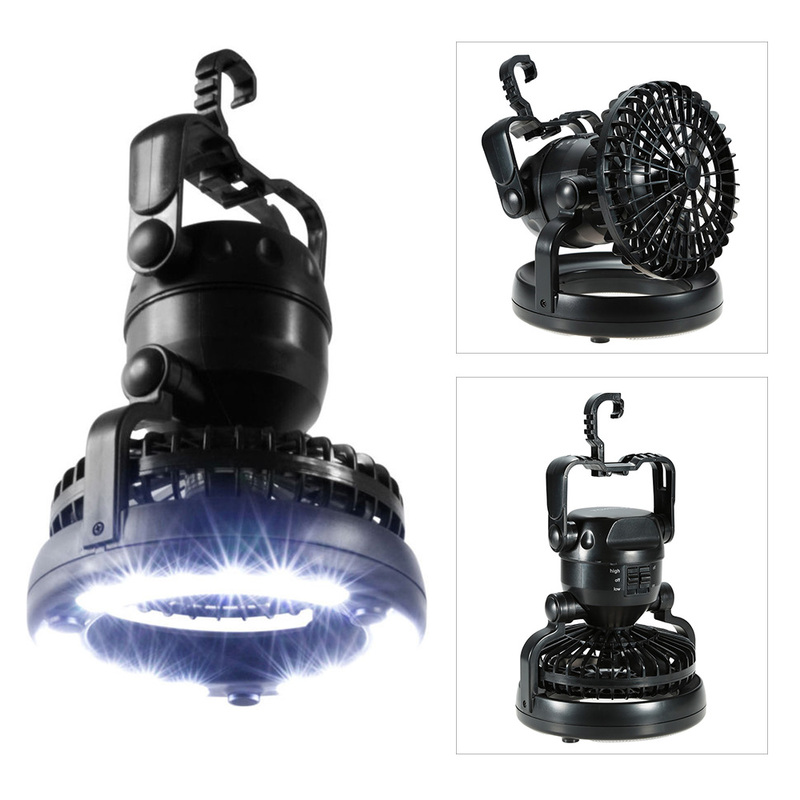 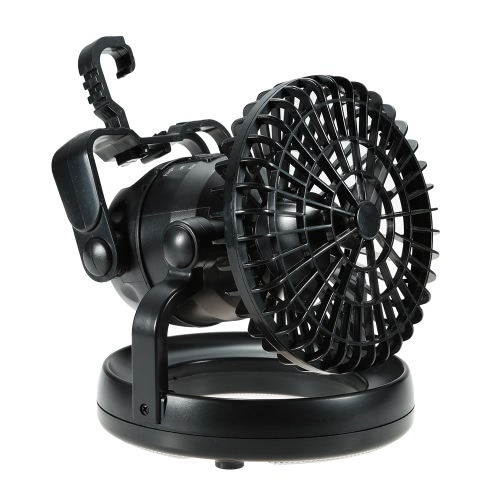 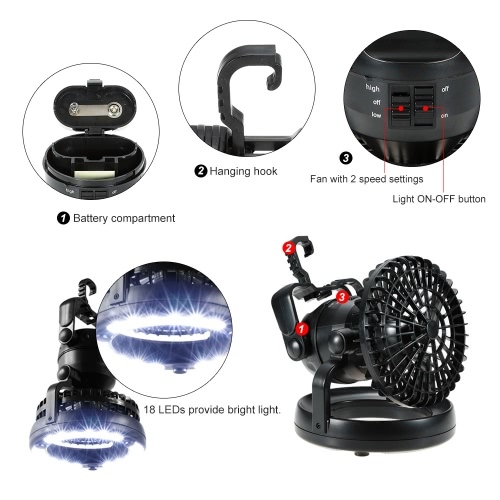 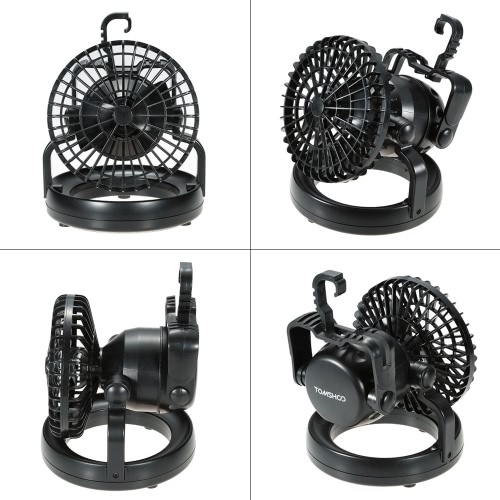 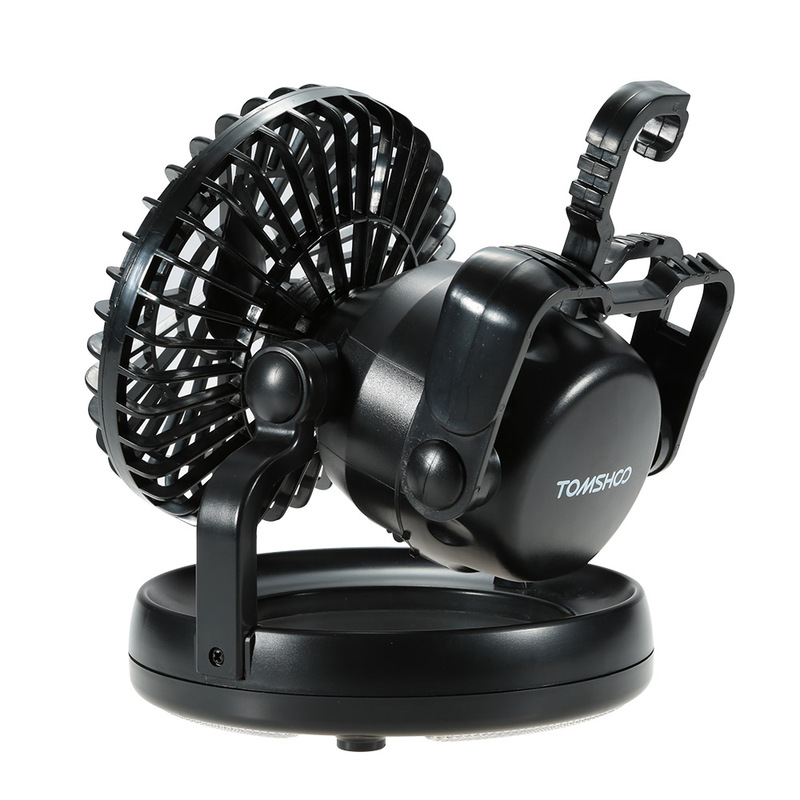 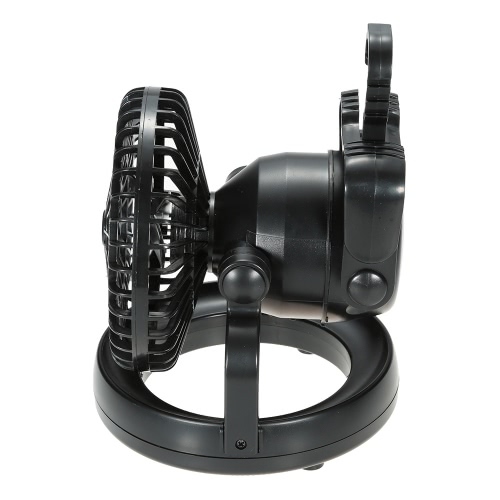 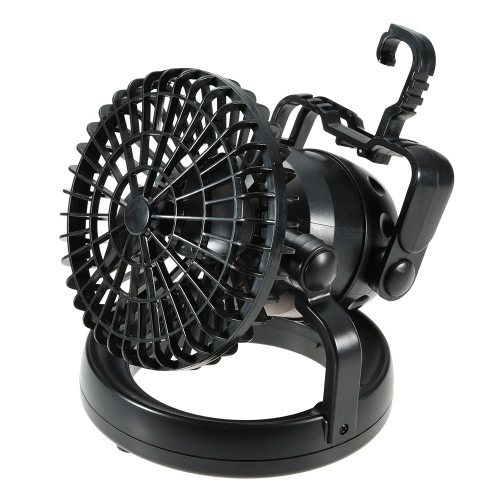 The angle of both the fan and light can be adjusted according to different occasions.The lamp rings and handle can be rotated 180 degree around, convenient to place it at different angles.Foams fixed pivot around the lamp ring also makes it easy to place it on the flat surface. 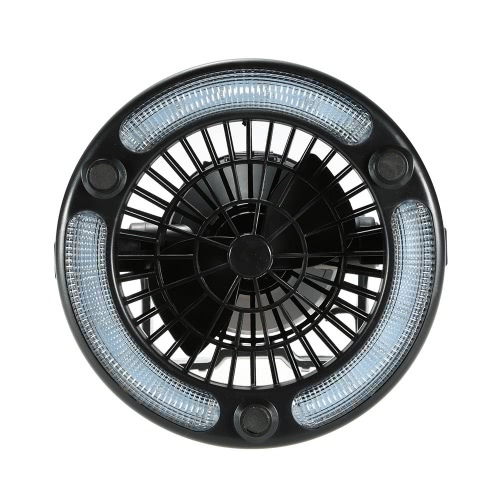 LONG SERVICE LIFE - 18 LED of super high brightness, its service light can be up to 100,000hours. 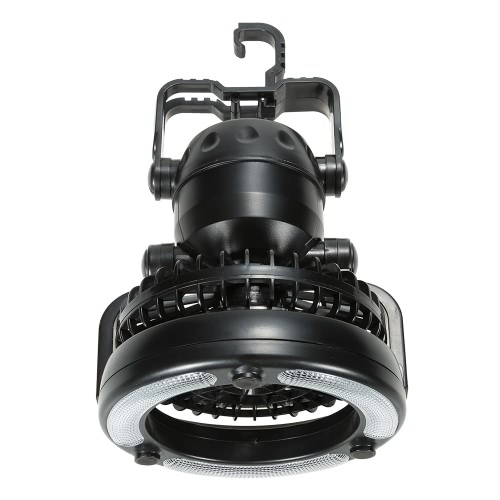 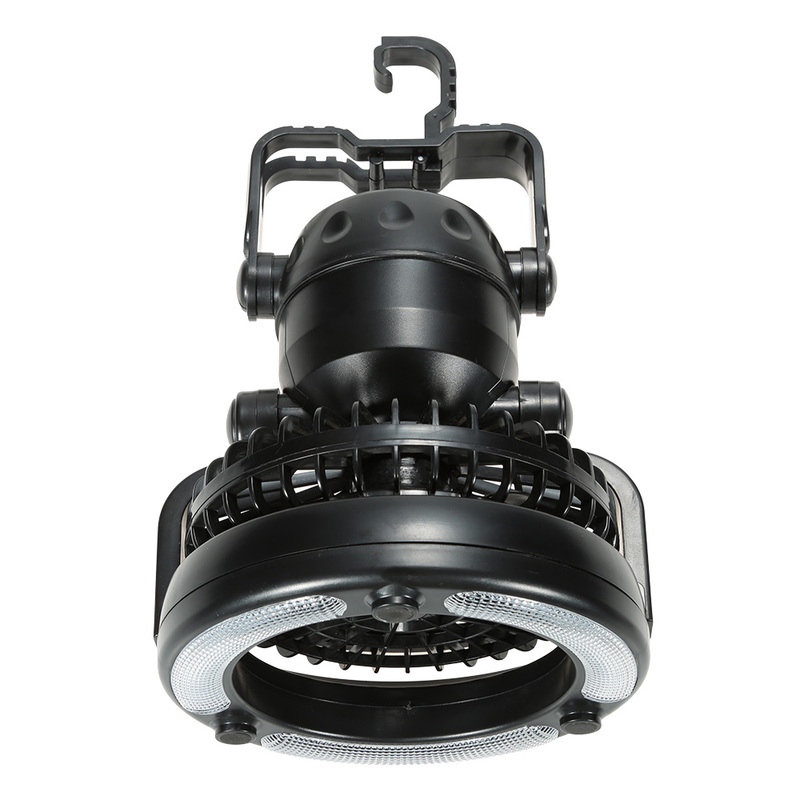 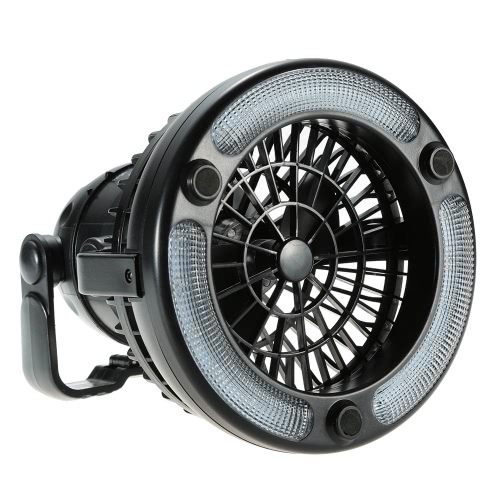 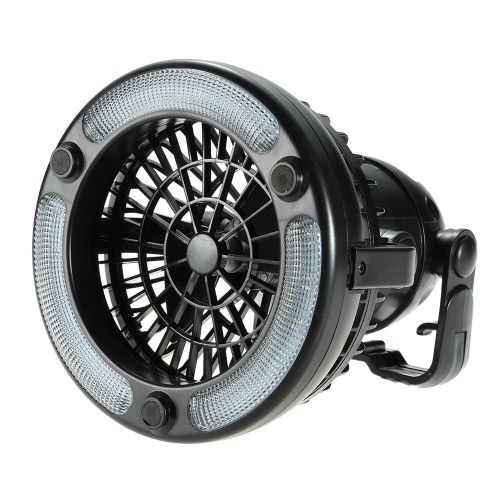 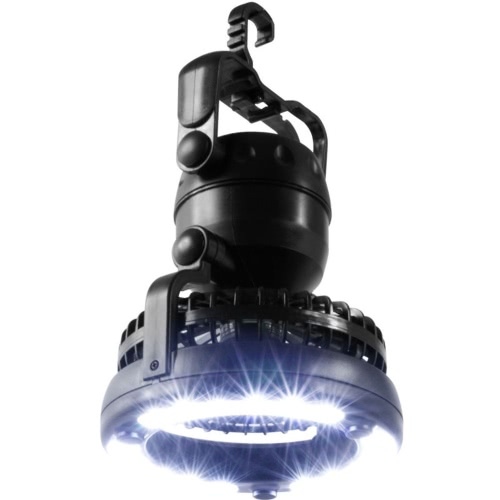 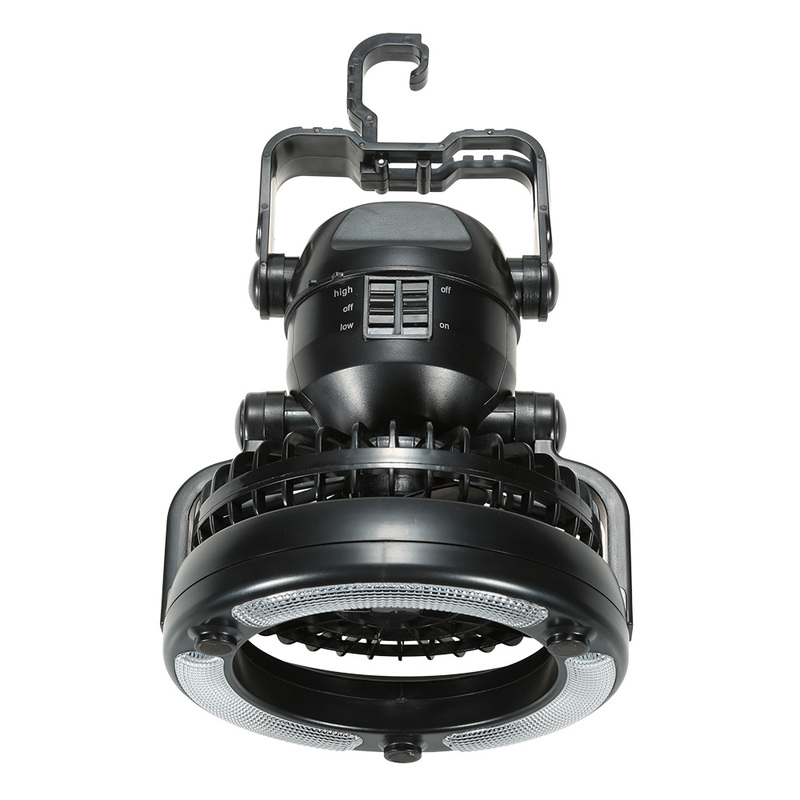 Up to 36 hours for LED light mode; up to 50 hours (low speed) or up to 30 hours (high speed) for fan mode; up to 16 hours for both LED light and fan (low speed) modes. 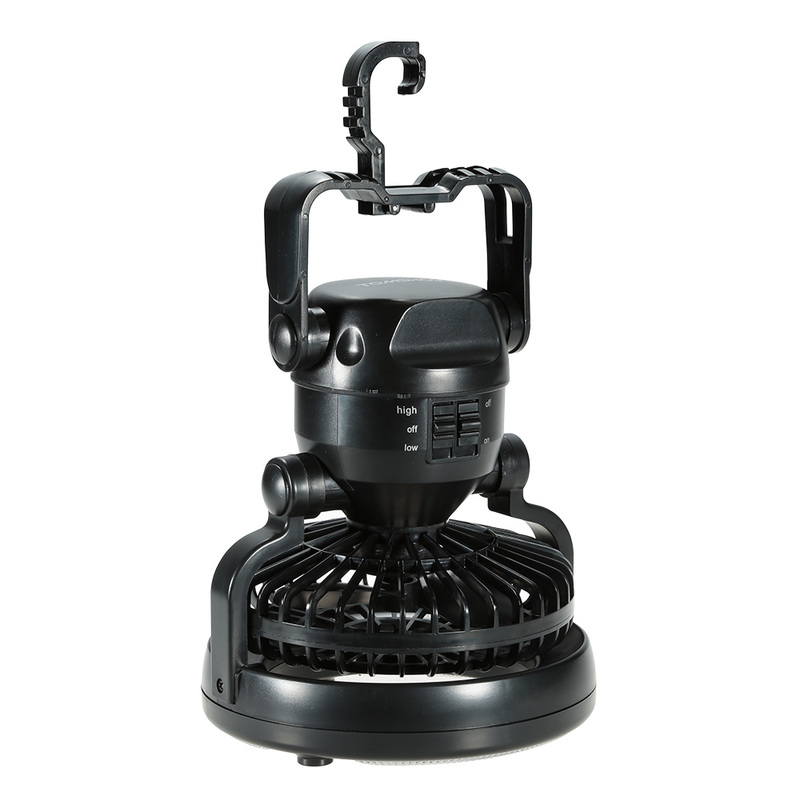 WATERPROOF - Lantern features weather-resistant construction to ensure protection against a variety of water or sun damages. 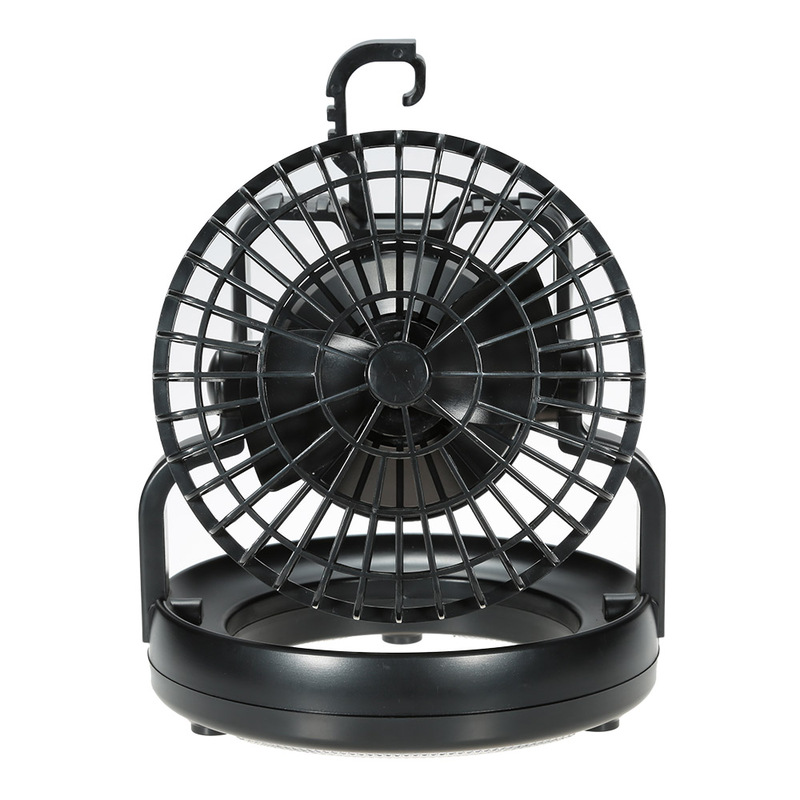 This is an ideal addition to your camping equipment and a must have in any emergency kit or hurricane kit. SATISFACTION GUARANTEED – Please contact us for a full refund,If you are not satisfied with it for any reason. DON’T HESITATE,Add to your cart ,make you outdoor activity more memorable. Note:it requires 2 D cell batteries (not included) and it’s a small light (6.26 * 6.26 * 7.24in)so that it only fit for 3-4 person.